Naturally, he had become, for many years, the patriarch of jazz musicians from Guadeloupe. Not so much because he belonged to a previous generation, but rather for his experience and history, as well as his relative discretion. André Condouant was an active patriarch and close to home. 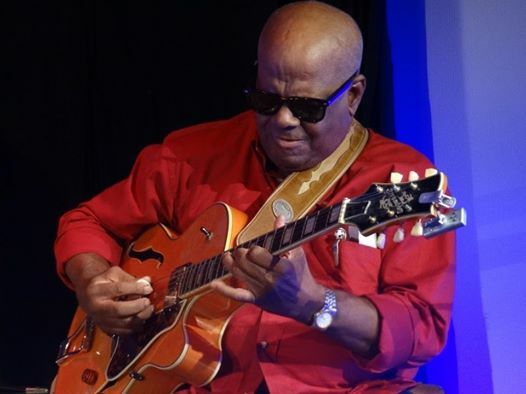 Having returned to Guadeloupe for several years, he recorded his last two albums there, and assiduously frequented jamming places, such as New P’ti Paris and Ja’Ri Beach, enthusiastically mixing his guitar rhythms with spontaneous arrangements that emerged during these meetings. And to all the musicians who then had the joy of sharing a few moments of music with him, there was always the excitement of rubbing elbows with a slice of musical history and Caribbean pride. He is one of those models that prove that music requires work and perseverance—reminding us that talent and excellence are not obtained by simply snapping one’s fingers—and now continues to inspire the many musicians with whom he worked.